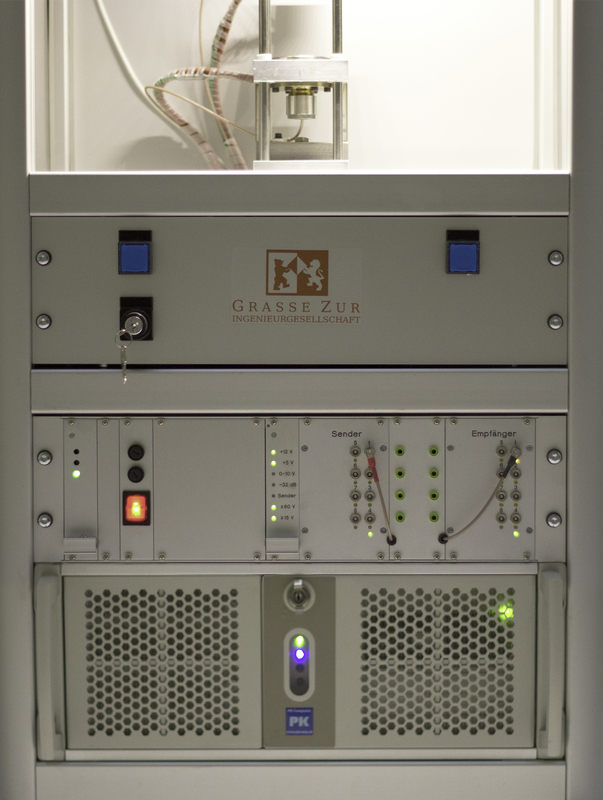 The innovative online process control GZ US-Plus® enables a non-contact process monitoring for curing control on crosslinking plastics such as composite materials (GFRP & CFRP). The functionality of the online process control is based on ultrasonic measurements. GZ US-Plus® allows statements to be made about differences in curing properties and flow behaviour compared to reference values or other batches as well as about deviations in production parameters. The optimum process parameters can be determined by analysing the measurement data. In this way, the curing times can be minimized, rejects avoided and the quality of the production process documented. 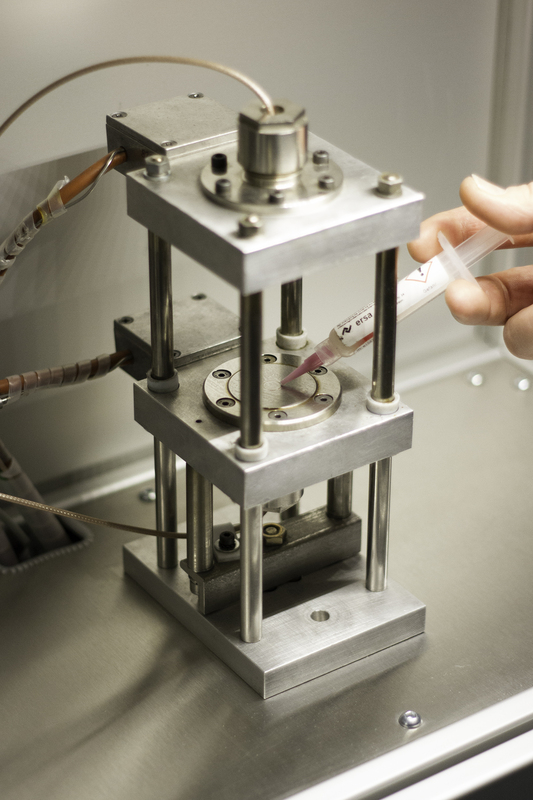 The reliability of the test method and its advantages have been demonstrated in numerous studies and comparative tests with other methods such as dynamic mechanical analysis (DMA), dynamic differential calorimetry (DSC) or rheology, both in industry and research. The online process control was developed at the Federal Institute for Materials Research and Testing (BAM) and has been used successfully in industry and research for more than 20 years. The US-Plus® analyser consists of a powerful ultrasonic generator and an industrial computer. The device is used together with ultrasonic probes, which are permanently installed in a molding tool or a heating press. 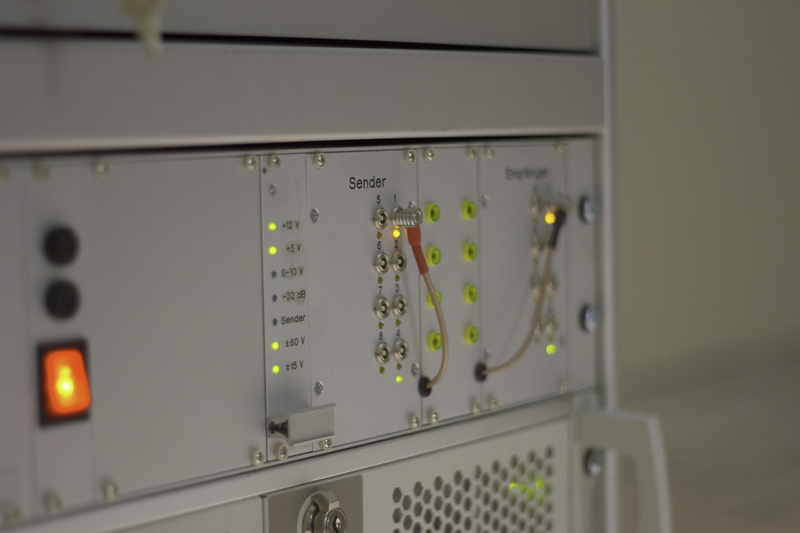 The ultrasonic sensors are connected to the analyser via impedance-optimised sensor cables. A heating press, an I/O module for the tool interface and a temperature controller are optionally available. The probes can be used up to 180 °C in the standard version and up to 250 °C in the high-temperature version. Complete documentation of each batch, each mixing batch, etc. By means of the innovative online process control GZ US-Plus®, testing services can be carried out on behalf of the customer to investigate the curing behaviour of cross-linking plastics such as composite materials (GFRP and CFRP), BMC/SMC, adhesives (epoxy resins) etc. The services can be carried out on the basis of the customer’s order. Analysis, e.g. of different batches, additives, mixing ratios etc. Often the challenges, application conditions and tasks of a process control are very different. For this reason, the online process control GZ US-Plus® is also available as a rental device. The rental unit is equipped with an integrated heating press and can be used both in the analysis laboratory and directly in production. The device can be used for incoming goods inspection, production release or to optimise process parameters. A detailed introduction to the hardware and software as well as telephone support during the rental period are always part of the offer. If the analyser is subsequently purchased, the rental costs are partly deducted from the purchase price.